What are Social Norms and Social Norms Campaigns? One commonly known component of social norming is ‘peer pressure.’ Regardless of age, peer pressure is a part of most people’s lives. The ‘peers’ don’t have to be your friends, and you don’t have to be in high school; they could be your colleagues, or people in your generation- and your perception of what they think or what they do can easily influence you. We hear a lot about ‘peer pressure’ when we’re thinking about youth in school. Usually this idea is based on one person being pressured into doing something in a moment by a larger group. But, it can be more than that. If a kid thinks that they are one of few that don’t drink in their school, that is their perception- so it’s their truth. It may influence their choices around drinking. But what if their truth- their perception isn’t based in fact? That’s where a Social Norms Campaign can make a difference. A Social Norms Campaign uses data and positive messaging to let people know the truth- hopefully changing their perception. Continuing with our example, a student survey would be taken in a school, and that data would reveal the true number of students that drink. For this example, we’ll say that 70% of students don’t drink. Now, even though that’s the truth, that 70% of students feel like they’re 10%. This could be for many reasons. Using marketing, a Social Norms Campaign puts the truth out into the community, in this case students, which shifts their perception of the problem. A student who knows they’re in the 70% of students not drinking may feel more secure in making good decisions, knowing they’re in the majority. This campaign uses positive marketing to let people know the truth about their perceptions and over a period of time can change the culture of that group in a positive way. The Plymouth Cluster has formed a Social Norms Planning Group that is working on implementing this strategy at the four high schools in the cluster. Each high school will have a Social Norms Campaign that is tailored specifically by and for the students at the school to make the campaigns effective as possible. We are very excited to work with the youth in our towns to make positive change around underage drinking and other drug use. We chose to use the social norms theory to combat the problem of peer pressure, peer approval and peer acceptance surrounding the culture of underage drinking. We’d like to flip peer pressure from negative to positive! The goal is to shift the current social paradigm from drinking being a good choice, to students making better, healthier choices. This will help students to be comfortable in their environment and to be confident in making good decisions, changing the culture of their schools. 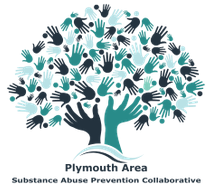 The collaborative towns, Plymouth, Middleboro and Carver, will work to implement strategies that will have a sustained effect of prevention and reducing underage drinking and other drug use and the devastating consequences that can ensue. One commonly known component of social norming is “peer pressure.” Regardless of age, peer pressure is a part of most people’s lives. The exhibit is a mock teenage bedroom that allows adults to go through to see possible red flags for unhealthy behavior and/or substance use. The Sachem Supporters is a club at Middleboro High School that was started to engage youth to work with Middleboro Matters on our evidence based strategies. Since the strategies are aimed at high school aged teens, it’s important to have them to help build these campaigns. 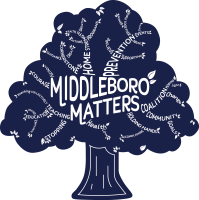 The Sachem Supporters are working on all three strategies with Middleboro Matters, as well as working on their own strategic prevention plan, holding resource tables at various town events, and other various activities. Check them out on Twitter at @MHS_Supporters. 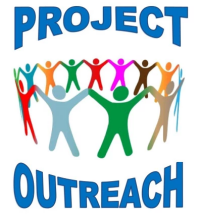 Project Outreach is a collaboration of Public Safety Agencies and Healthcare Providers created to respond to the ever growing number of opiate overdoses by conducting follow-up visits within 12-24 hours after an overdose. The program is not limited to those addicted to opiates, it is for everyone impacted by addiction.